Dunkin' Donuts serves up heart-shaped donuts and dessert-flavored coffee, including new Vanilla Cupcake Swirl coffee, for the 2017 Valentine's Day season. Heart-shaped donuts are a regular attraction at Dunkin' Donuts this time of year and this year sees the introduction of two new varieties: the Chocolate-Covered Raspberry Heart Donut and the Brownie Batter Crumble Heart Donut. 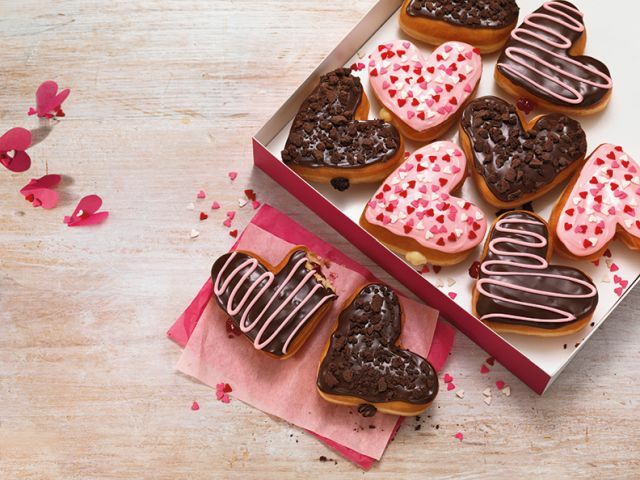 The Chocolate-Covered Raspberry Heart Donut features a heart-shaped donut with raspberry filling, topped with chocolate icing and a drizzle of strawberry-flavored icing. The Brownie Batter Crumble Heart Donut is a heart-shaped donut topped with chocolate icing and crumbled brownie and filled with brownie batter-flavored buttercreme. 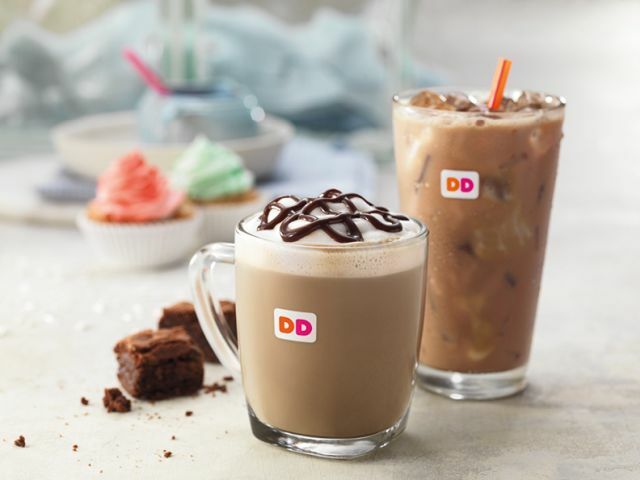 Besides Vanilla Cupcake Swirl coffee, Dunkin' is also offering new Fudge Brownie Swirl. The two flavors can be added to hot or ice coffees, lattes, and macchiatos. Besides the new seasonal items, the Fudge Croissant Donut is also back. It's a croissant donut with fudge filling, topped with chocolate and drizzled white icing. All seasonal items listed are available for a limited time at participating locations nationwide.